Water is indeed necessary for lawns. Too much or too little water can harm them. Running the water all night sets up ideal conditions for disease problems. Watering too often, with too little water causes the grass roots to be shallow. In hot conditions the soil dries out and the roots are too shallow to find moisture. 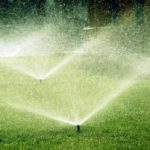 Here are a few pointers for proper watering. When and how often should I water? Check how much you’re watering. Apply about 1/2 inch of water each time you water your lawn. We suggest putting out tuna cans to measure and determine how long you need to water to hit the 1/2 inch. 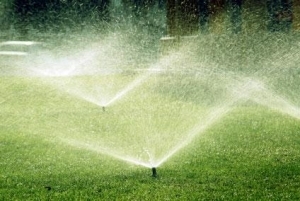 Different sprinklers water at different rates so measure several different areas. One can adjust the time on the zone, or the rate of watering from the sprinkler head. The weeds that over-watered lawns often have are difficult to control. 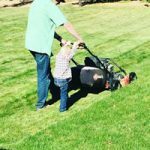 Lawns over-watered for an extended period of time are even more noticeable. Deep infrequent watering provides a more difficult atmosphere for weeds to thrive.